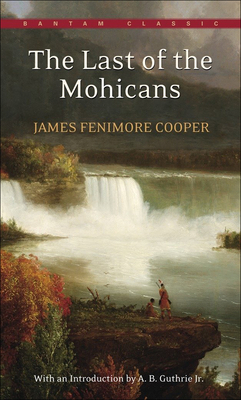 James Fenimore Cooper was the great professional American author. He was born on Septenber 15, 1789, in Burlington, New Jersey, and grew up in the frontier village of Cooperstown, New Yorrk, in the heart of the wilderness he was to immortalize in his frontier novels. A high-spirited youth, he was expelled from Yale because of a prank and was finally signed by the navy by his strong-willed father. In 1819 a trfling incident repordatly led to the writing of his first book. Reading aloud to his wife from a populr English novel, he exclaimed, "I could write you a better book myself!" The result was Precausion (1820), which followed in 1821 by his first real success, The Spy. Cooper became a prolific writer, creating two unique genres that were to become staples in American literature-the sea romance and the frontier adventure story. The first of the famous Leatherstocking tales, The Pioneers, appeared in 1823 and introduced the wilderness scout Natty Bumppo. This detailed portrait of frontier life has been called the first truly American novel. In The Last of the Mohicans (1826) Natty Bumppo becomes the well-loved Hawkeye befriended by the noble Indian Chingachgook; the novel remains a favorite American classic. Other Leatherstocking tales were The Prairie (1827), The Pathfinder (1840) influenced both Herman Melville and Joseph Conrad and led to the use of the sea novel as vehicle for spiritual and moral explorations. Cooper also wrote political satire, romance, and the meticulously researched History of the Navy of the United States of America (1839). By the time of his death on September 14, 1851, he was considered America's "national novelist."